It is indeed a great privilege and pleasure for SEDIA to extend a warm welcome to you via SEDIA’s portal in the Commonwealth of Nations website. Sabah, the second largest of 13 states in Malaysia after Sarawak, is located on the most northern part of Borneo, known to many as ‘The Land Below the Wind’. Borneo, the third largest island in the world, rich in biodiversity resources reputedly unaffected by the Ice Age, home to rare wildlife such as the orang utans, Sumatran rhinoceroses and pygmy elephants, harbouring rich marine life with clear water and pristine tropical islands as well as a hospitable and multi-cultural society. It is also strategically located in Southeast Asia with direct air access to most capital cities in East Asia and endowed with rich natural resources such as oil and gas, fisheries and other marine resources as well as agricultural and forestry. It is indisputably one of the most promising states in Malaysia destined to be economically competitive, vibrant and sustainable once all the projects under the Sabah Development Corridor (SDC) are realised. 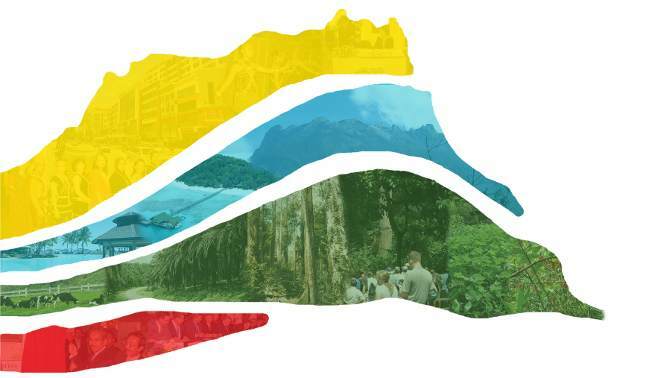 The SDC Blueprint, which was launched on 28 January 2008, is implemented with the aim of bringing the quality of life of Sabah’s people up another level as well as accelerating the economic growth for Sabah while promoting regional balance and bridging the rural-urban divide and concurrently ensuring sustainable management of state’s resources. The Sabah Economic Development and Investment Authority (SEDIA) was established on 15 January 2009 via the adoption of the Sabah Economic Development and Investment Authority Enactment 2009, and commenced operation on 2 March 2009. SEDIA serves as the One-Stop Authority to plan SDC; co-ordinate the expeditious implementation of all SDC projects; promote investments into SDC; and monitor and disseminate authoritative information concerning the progress and development of SDC. The implementation of SDC and the establishment of SEDIA has facilitated and enhanced a seamless and closer working relationship between the State and Federal governments. This has paved the way not only for the efficient implementation of development projects but also improved the investment climate in Sabah. In April 2009, the Public Private Partnership Unit (3PU), or commonly known as UKAS (in the country’s official language – Unit Kerjasama Awam Swasta), ­ under the purview of the Prime Minister’s Department, was set up and tasked to coordinate all privatisation and the Public-Private Partnership (PPP) projects in the country. An amount of RM20 billion was allocated as Facilitation Fund (FF) by the Federal Government, as part of the Government’s contribution and as means to support development projects which are carried out by the private sector via cooperation with the public sector. The funding limit via FF is set at 10 per cent of the total project cost. This approach is expected to generate more investment in Malaysia by encouraging greater participation of the private sector into the development projects in the country. Their participation is vital to meet the necessity of providing better and high quality public infrastructure to the state. SEDIA has been working closely with UKAS to facilitate private sector participation in development projects in SDC through the PPP and FF initiative. The Key Focus Areas (KFAs) of SDC are Palm Oil, Agriculture, Tourism, Education, Oil/Gas and Energy, and Manufacturing and Logistics. The KFAs were introduced on 16 February 2009 via the launching of the Corridors and Regional Cities Transformation Programme, formulated jointly by PEMANDU and the corridor authorities pursuant to the alignment with the Government Transformation Programme (GTP) and Economic Transformation Programme (ETP) introduced in 2010. The Corridors and Regional Cities Transformation Programme had identified 31 Entry Point Projects under SDC to drive Sabah’s economic transformation into a high income economy by 2020 with a target of mobilising RM77.5 billion worth of investment, to help generate RM35.5 billion incremental gross national income and 144,000 jobs for Sabah. In December 2012, SEDIA introduced the Special Incentive Package for investments in the promoted sectors under SDC. These incentives are available for investments in designated Strategic Development Areas (SDAs), clusters and flagship projects, namely: Kinabalu Gold Coast Enclave, Sabah Agro-Industrial Precinct, Integrated Livestock Valley, Marine Integrated Cluster, Sandakan Education Hub, Palm Oil Industrial Clusters, Sipitang Oil and Gas Industrial Park and Shipbuilding and Repair Precincts. For instance, within the Kinabalu Gold Coast Enclave SDA, one of the promoted activities is to provide high quality resorts development, which is in line with tourism requirements in Sabah. Investors developing high quality resorts can therefore enjoy incentives such as full tax exemption on statutory income for up to 10 years, investment tax allowance of 100 per cent on qualifying capital expenditure for five years, and full exemption on import duty and sales tax exemption, subject to current policy. SEDIA welcomes both foreign as well as domestic investments, and is working closely with Malaysian Investment Development Authority (MIDA), Biotechcorp and other investment promotion agencies in attracting investments into SDC. MIDA provides specific investment incentives in strategic and promoted industries while Biotechcorp provides Bio-Nexus status. Apart from the Special Incentives Packages for investments in SDC, SEDIA as the One Stop Authority for SDC will also assist investors in accessing other incentives provided by other Federal and State Government agencies. As a testimony to the vibrant investment climate in Sabah since the launching of SDC, about RM114 billion of planned investments had been committed in Sabah as at the end of 2012. And SEDIA is expecting this trend to continue. We hope that the brief introduction above has given you some understanding of what SDC can offer as your choice destination for business, culture and nature. On the same note, we would like to invite you to our website for further useful insight and pointers in assisting in your investment decisions. We look forward to seeing you in Sabah, as you come and discover the secrets of the ‘Land Below The Wind’! Graduated with a Bachelor of Science (Hons) from the University of Sussex and a Master of Science (Liberal Studies) from the University of Manchester, England. In 1982, he obtained his PhD in Sociology from the University of Salford, England. He began his career as a part-time lecturer in Political Science at the MARA Institute of Technology and in 1983, he joined the Sabah State Civil Service as an Assistant Director (Research and Consultancy) in the Sabah Chief Minister’s Department. He was made the Principal Assistant Director (Management Development) in 1984. He joined the Institute of Development Studies, Sabah (IDS) as an Associate Director (Social Affairs) in 1985 and later moved up to Deputy Chief Executive / Senior Research Fellow in 1991. In 1994, he was promoted again as the Executive Director of the Institute for Development Studies (Sabah). 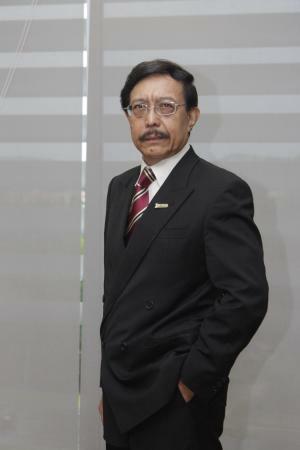 In 2009, he was appointed as the Chief Executive of the Sabah Economic Development and Investment Authority (SEDIA). He also sits in the board of corporate bodies, including Suria Capital Holdings Bhd, Warisan Harta Sabah Sdn Bhd, Institute for Development Studies (Sabah) and Kimanis Power Sdn Bhd. He has served as the President of the Association of Development Research and Training Institutes for Asia Pacific (ADIPA); Board Member of the International Federation of Institutes of Advanced Studies (IFIAS), Toronto; and a Governing Council Member of the Commonwealth Association of Local Action and Economic Development, London. He had also served as an adjunct Professor in Social Science at University Malaysia Sabah, Kota Kinabalu. SEDIA has been entrusted as the One-Stop Authority to drive SDC, with the primary responsibility to plan, co-ordinate, promote and accelerate the development of the Sabah Development Corridor (SDC). Initial development allocations had been approved for implementation under the SDC via the Mid-Term Review of the Ninth Malaysia Plan. The SDC Development Fund would be channelled through the Sabah Economic Development and Investment Authority (SEDIA). In order to expedite the implementation of SDC, the Sabah State Legislative Assembly had approved the instrument for the establishment of SEDIA via the adoption of Sabah Economic Development and Investment Authority Enactment 2009 on 15 January 2009. The Enactment was assented by Tuan Yang Terutama Negeri Sabah on 23 February and gazetted on 26 February 2009.
b) To ensure that social development and sustainable development are kept as priorities whilst driving economic growth in the SDC. i) To do all things as are expedient, advantageous or necessary for, or incidental, supplemental or consequential to , the performance of the functions of the Authority and the better carrying out of the purposes of the SEDIA Enactment. SEDIA’s corporate vision is to be a responsive, effective, efficient and accountable one-stop authority to realise the objectives of the SDC, in active partnerships with key stakeholders. To enhance stakeholders value propositions, confidence and acceptance through optimum engagement, information dissemination and accountability. To evaluate the SDC milestone in terms of key performance indicators. To support CSR activities and engagement with stakeholders. To recommend policy reforms, incentives or other initiatives to attract investments. To promote new growth sector driven by technology convergence. To recommend project closure and payment. To source funding for SDC projects. To provide general corporate services.